Now like most people my brushes serve out the entirety of there service upside down in a jar. Ready to be removed at will to be used and abused. Not any longer the A-Case brush holder lets me store all my brushes (along with many future brushes) with ease. In a stylish looking holder that matches the A-Case range for looks. The Brush Holder has 20 spaces for brushes to be slotted into. The brushes or small tools are held in place by elastic so the shouldn’t move around to much during storage or transport. One edge has a lip that one end of the brush can be inserted into so they don’t fall out. The inside of the holder is lined as well for a bit of protection against any spills. 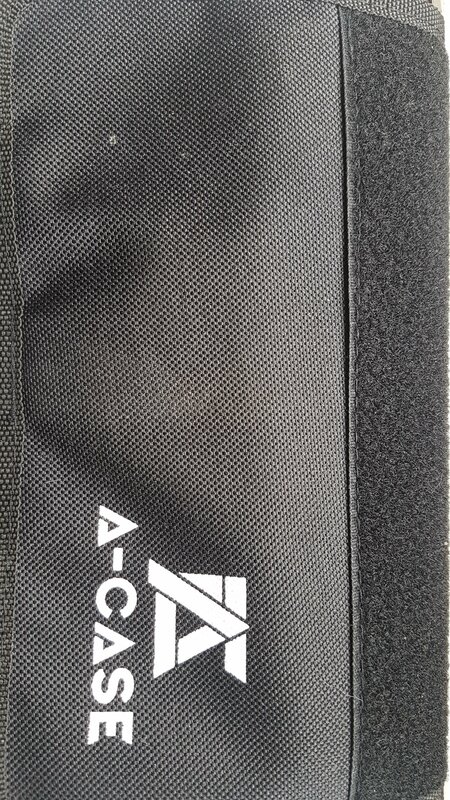 On the outside of the brush holder is plain black with the A-Case logo. 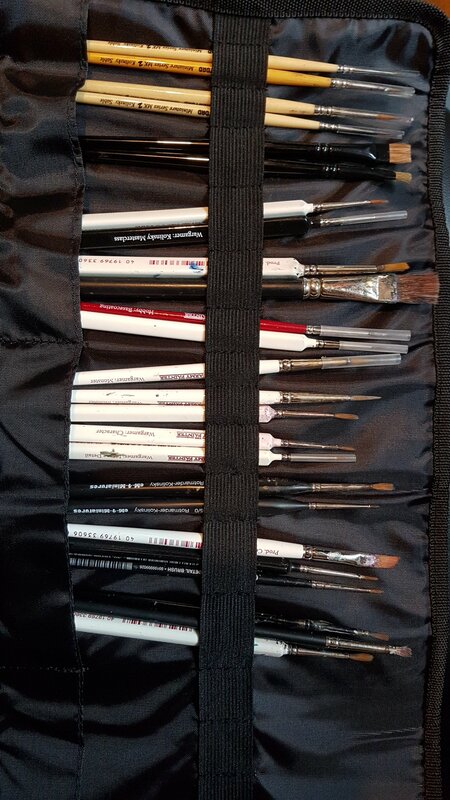 A large velcro area so no matter how tight or loose you roll your brushes you should be able to secure the Brush holder. As well as looking better than the jar storage and much tidier tidy fashion your brushes shouldn’t get damaged at all. Although I wouldn’t be rushing to throw out your plastic caps just yet. With a variety of colours available you can pre-order yours now to avoid any unnecessary waiting.